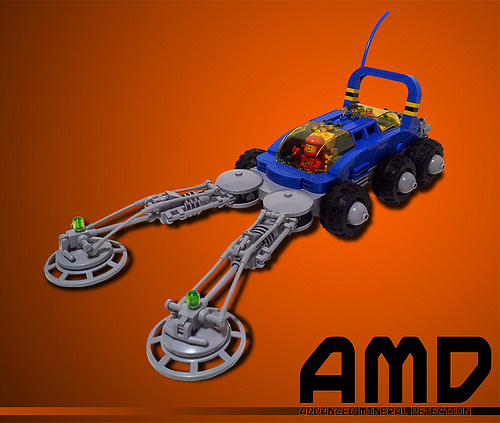 FebRovery continues apace, over on Flickr and with it has come this superb Neo-Classic Space build from Jon Blackford. 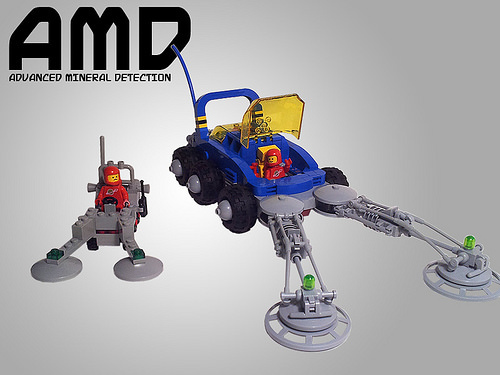 Jon has updated the 6841 Mineral Detector from 1980 to include bigger sensors, two closed cockpits and that essential on an airless moon: a rear spoiler. All of this has upset the normally smiling driver of the older model, as you can see below. There are more photos on Jon’s Flickr and there are photos of the interiors of the cockpits on MOCpages.